Perrin is desperately searching for Faile. With Elyas Machera, Berelain, the Prophet and a very mixed 'army' of disparate forces, he is moving through country rife with bandits and roving Seanchan. The Forsaken are ever more present, and united, and the man called Slayer stalks Tel'aran'rhiod and the wolfdream. The only real complaint I have about this book is that when you pause it, it will often skip ahead several minutes, so I'm always having to find my place. This has been a problem with a few books though, not just this one. Very annoying. This is a good book. I love this series immeasurably. This is a good edition and I love audio books a lot, and these two narrators are very good at capturing different voices from multiple characters. Very well done, the only issue, and it is only slightly bothersome is that sometimes it will repeat a sentence or two. Still I enjoyed listening incredibly. I read this series years ago, so I thought I'd pick up where I left off...i think I remember why I just stopped reading this book. Author has created far too many characters of significance, I can barely remember who they are, much less get into their story arc. Furthermore, the characters are all pretty one dimensional and plot advancement seems to work like a video game - beat the next bad guy, obtain the next magic item. There is better fantasy out there. narrator's voice is pleasant. Love this book and the narration was great. It was a good book, had to pay close attention to keep up with everything going on. Great narrators. They did a good job. 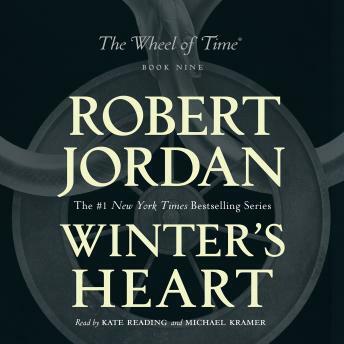 I have been hesitant about listening to audio books in the past, but listening to Winter's Heart changed my mind! I listened to it while driving 90 minutes to and from work each day. Truly made the commute go by quick. I enjoyed Winter's Heart as well! I am most of the way through the series and this read was well worth it.